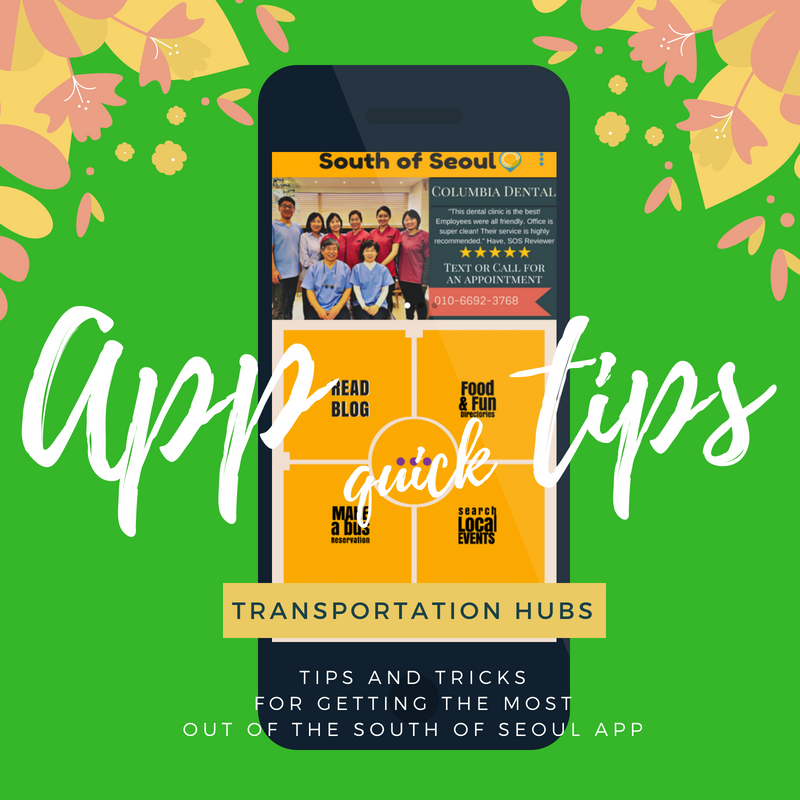 The South of Seoul app is more than pretty pictures of food and fun things to do put together by some very dedicated volunteers. It is also embedded tons of information "easter eggs" that will make your life in Korea much easier. For example, our Transportation Hubs directories can be a huge help when you need them most. 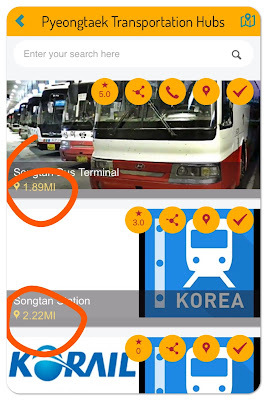 Need to know what is the closest bus terminal to you? We can help with that. 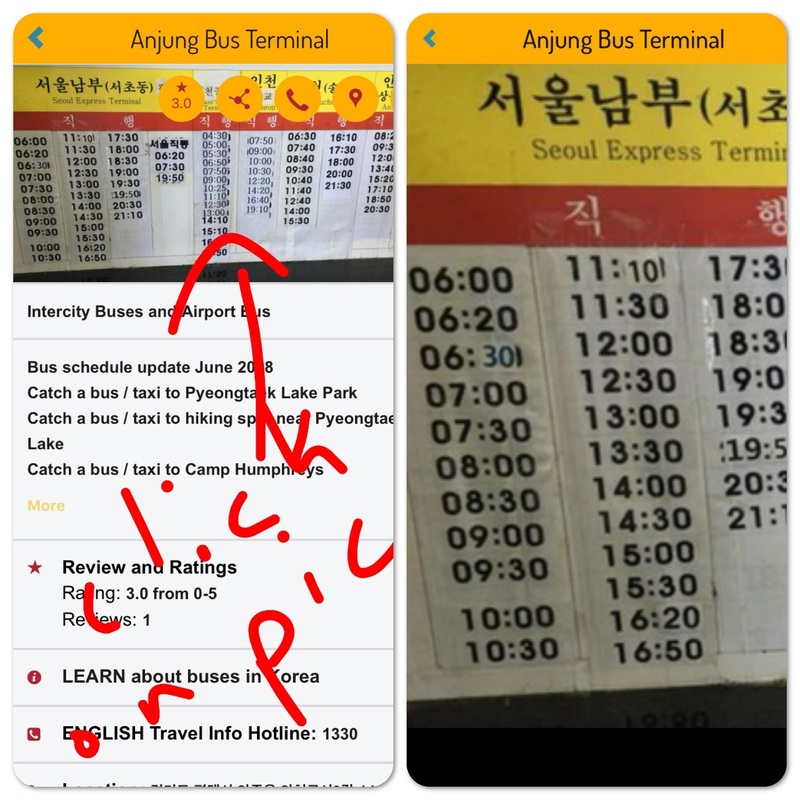 Looking for a bus schedule? We can help with that. Wondering which station the SRT leaves from? We can help with that. 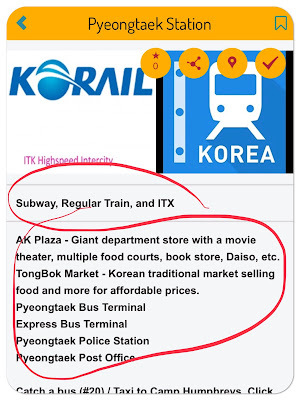 Unsure of what subway stations are in Pyeongtaek? We can help with that as well. Here is how they work. First, each area has it's own transportation directory: Asan, Cheonan, and Pyeongtaek. The directories have a pale blue background and come after the neighborhood directories. 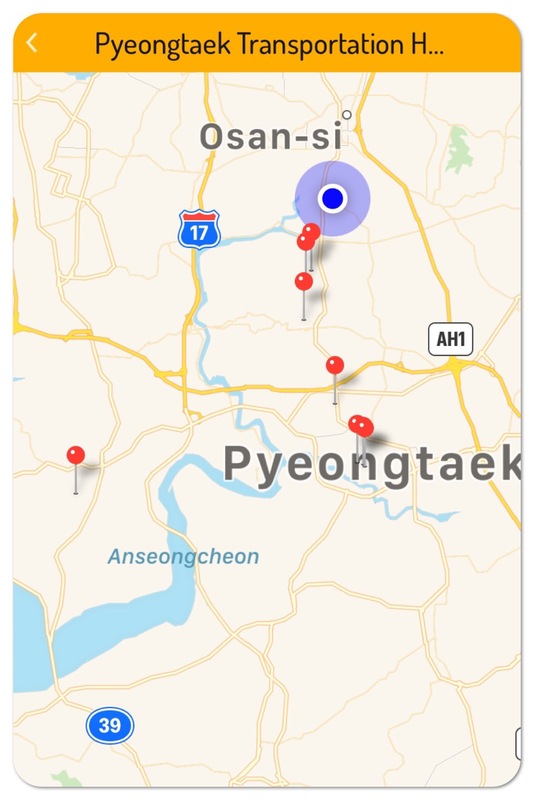 We will look at Pyeongtaek's today because that's where most of our readers live. 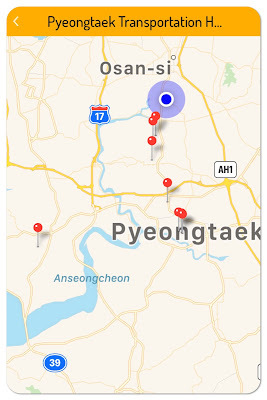 Second, if you click on the little map icon in the top right, it will open a screen that will show you as a little flashing dot and all the hubs compared to your location. 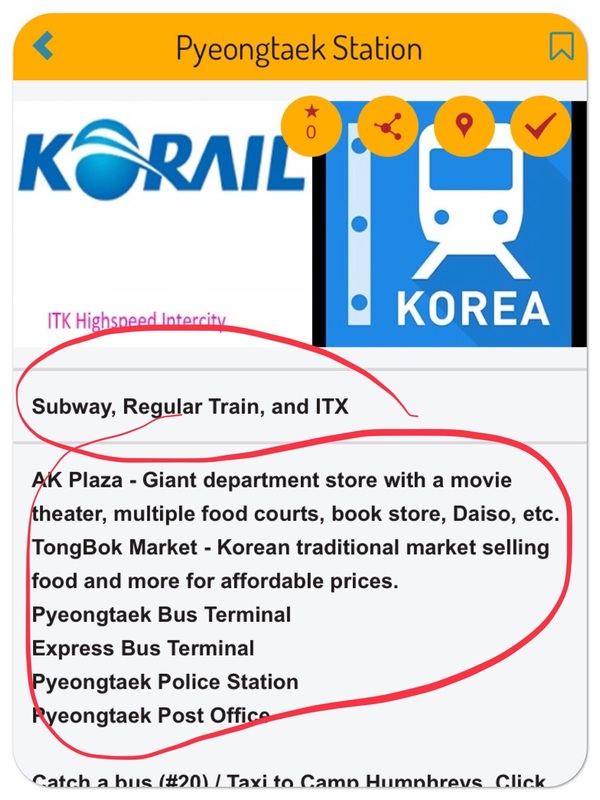 The final useful tidbits we added are in the listings themselves where we list what types of transit options are available at the particular transit hub as well as important places located nearby. Please let us know if there is more we can add that will be helpful. 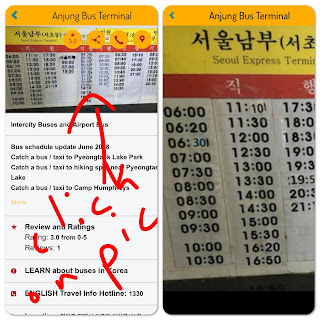 We know you will find this aspect of South of Seoul useful again and again. Good luck on your many adventures and let us know if there are other things we can add that will help make things in life easier. 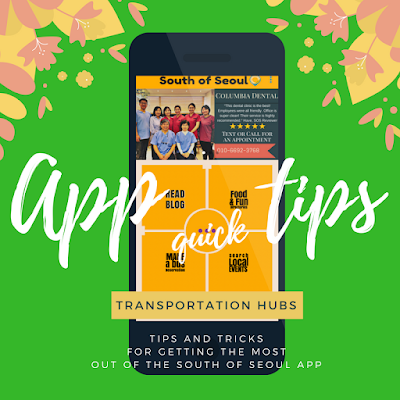 South of Seoul is a volunteer-managed app which can be downloaded from Google Play or the Apple App Store. We currently receive no funding and simply function off the love and passion for helping our community. We know things aren't always perfect, but we do our best with our limited time and funds. 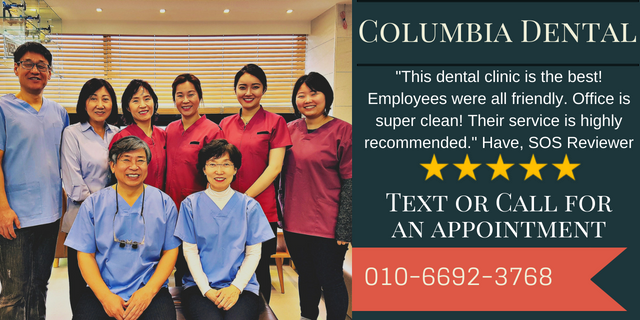 Every day we try to improve things a little bit more and a little bit more with the resources we do have. 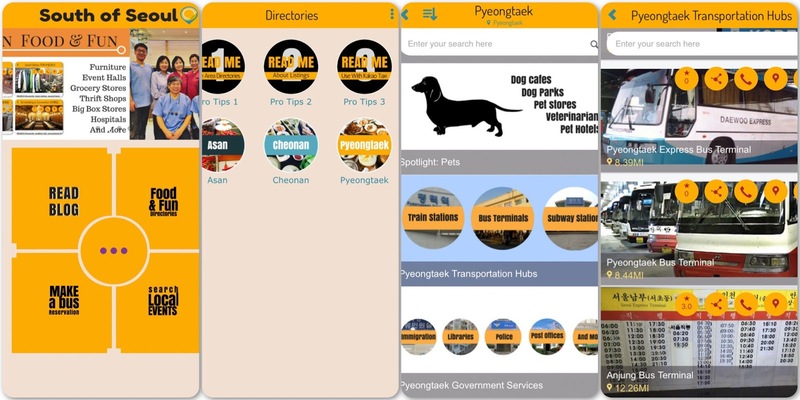 If you find the app helpful please you can pay it forward by reviewing restaurants and businesses around the city which helps make Pyeongtaek easier and more approachable for those that come next. Happy adventures! Looking for something to do? Check out upcoming special events and scheduled SOS Adventure Buses. Get involved with the community now! 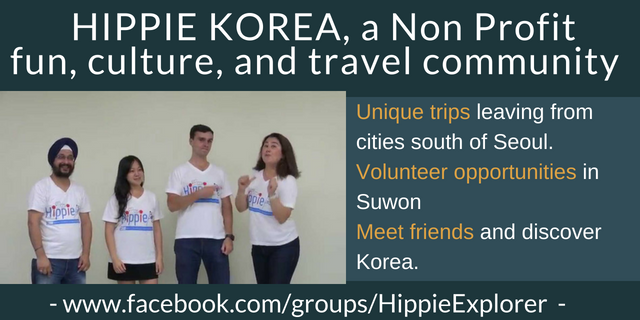 Search for "Pyeongtaek Food and Fun" and join our community.